East or West Home’s Best! Kyewunyo, born and raised on Ngamba Island, had a daughter in 2016. She and her daughter have been in the holding facility since then, but on the 18th March 2017 at 07:40 am they were released back to the forest. 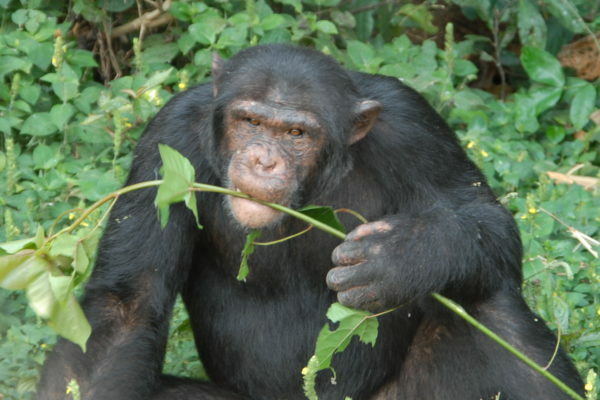 Kyewuunyo, born to Katie, an influential adult female was accompanied by her mother, first and followed by other chimps like Sophie, Tumbo, Baluku, Ikuru, and Kidogo. 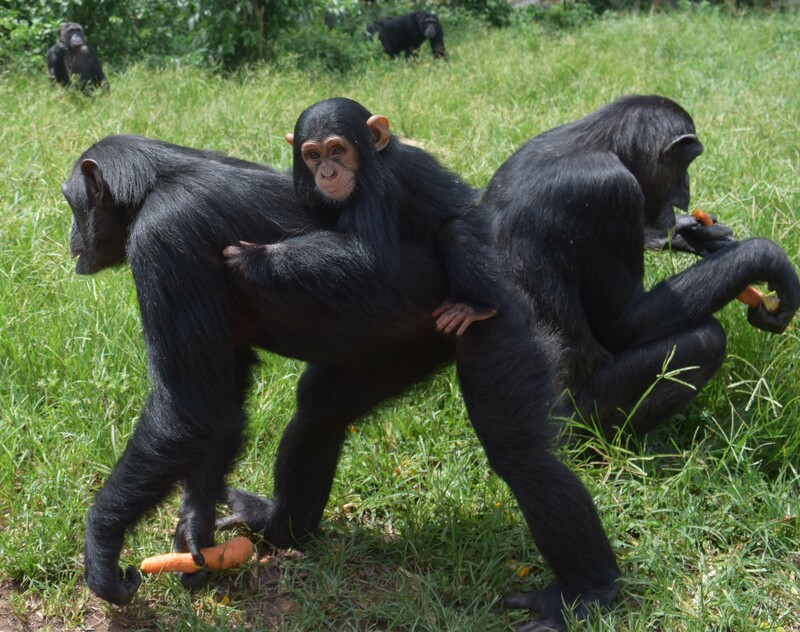 This group get along well together and would provide the necessary security to the baby and mother in case faced with hostility by the other chimps. Kyewunyo, carrying her baby, ran straight into the forest taking the chimp trail close to the new termite mound. After months in the holding facility, she was clearly very happy to be back into the forest and getting into contact with other chimpanzees. She, her baby daughter and her mother were filled with excitement and took time to re-familiarize herself with the forest, such that they all did not return for feedings for the first two days. She however did return every evening to the holding facility for the night, aware of the need to keep her baby in a safe environment. 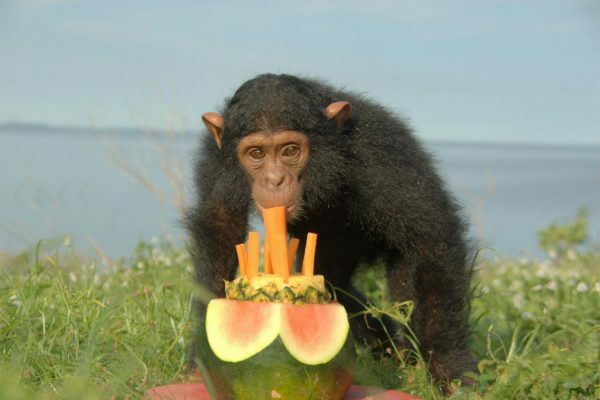 Integration of chimpanzees is done in phases to allow assimilation and re-assimilation of individuals into the community. Strangers are not easily welcome and so are those that have been ‘away’ for some time. Introduction of a new member to a community requires protection of influential males and females. Kyewunyo was separated from the community just before delivery, to ensure the safety of her new-born. She and the new-born baby girl required re-introduction and introduction to the group, respectively. 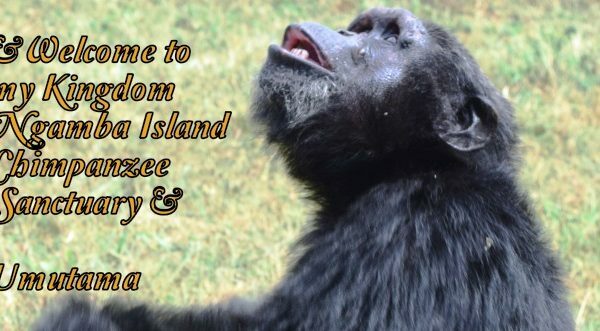 However, much as Kyewunyo was separated from the group she shares a strong bond with her mother Katie who is one of the influential chimpanzees at Ngamba Island. 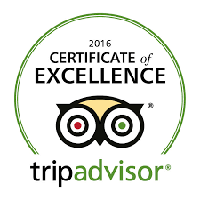 This positively influenced the integration process since Katie accepted her granddaughter and given her status. The process started with releasing three males in the forest that was Rambo, Kikyo and Sunday since they are friends of the family. Then later Kyewunyo and daughter were released in the forest accompanied by Katie, Sophie, Tumbo, Baluku, Ikuru, and Kidogo. 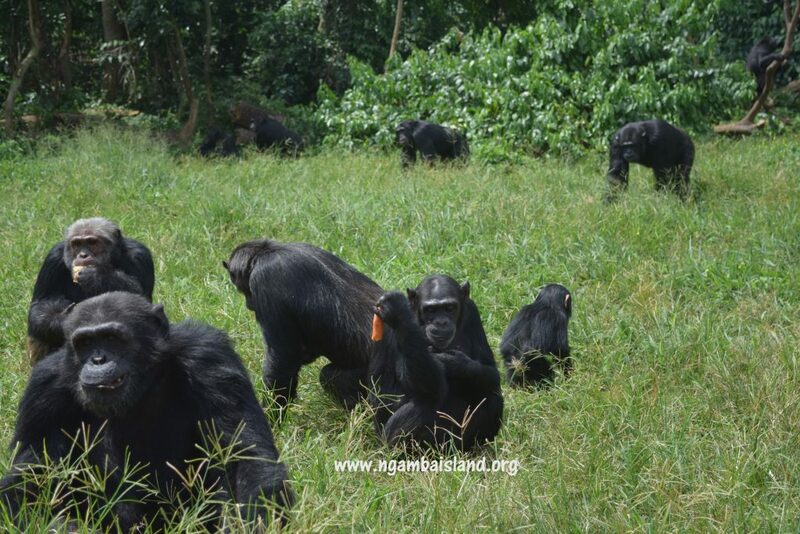 Then later that day the Alpha male Umutama and a group of 35 chimpanzees were released to the forest.